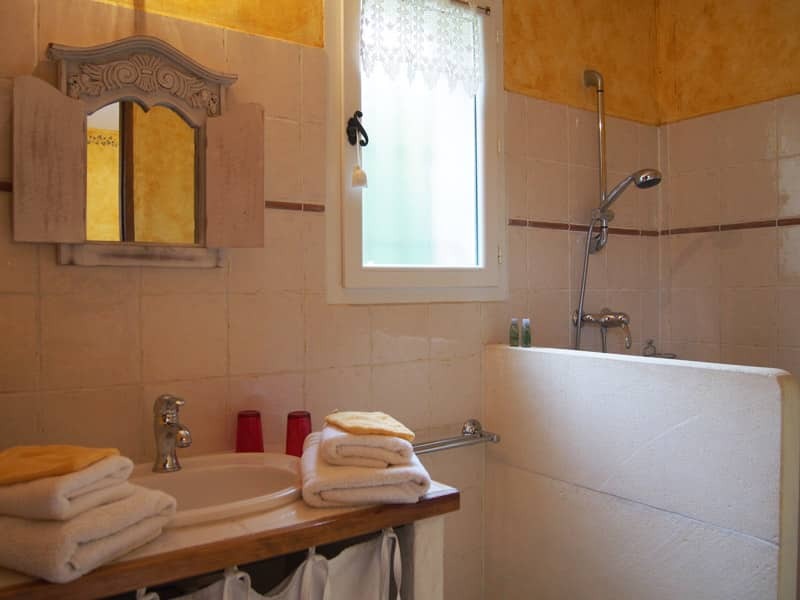 Welcoming and bright double bedroom of 21 m², with a king-size bed 160×200, which opens to a private terrace. This ground floor room has a private terrace and a separate entrance to enjoy in the privacy of relaxation. 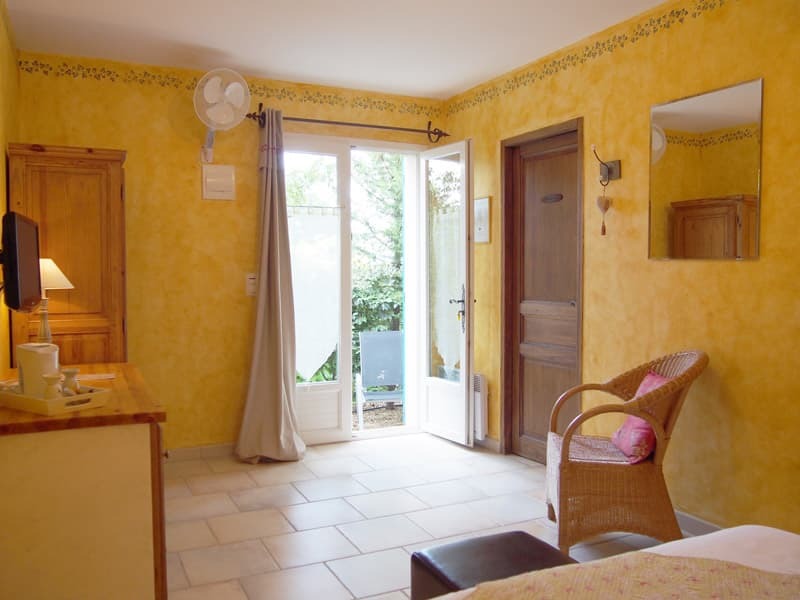 Enjoy the scents of Provence and the incomparable charm of Luberon in a room with the colars of the sun. It is spacious, functional and has a high-end bedding, to offer our guests a happy sleep, covered with cosy duvets and provençal boutis and four pillows. 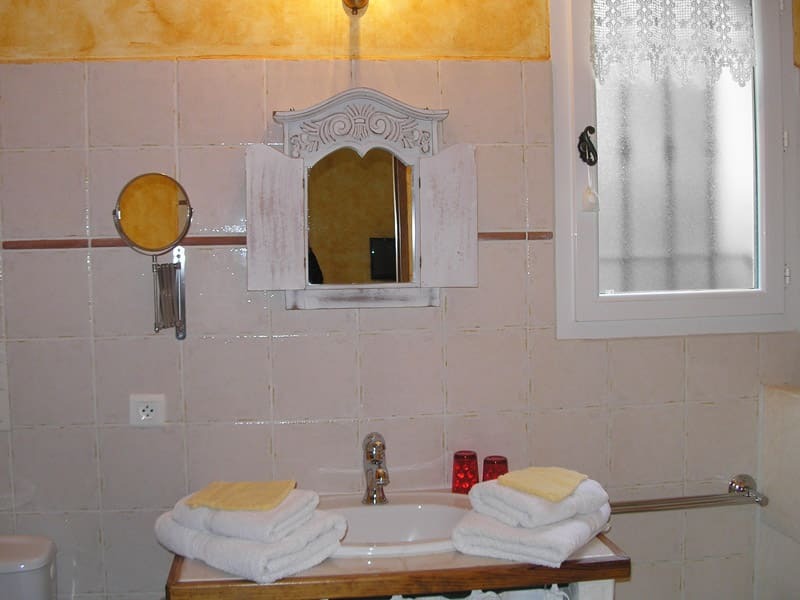 Comfortable and fully equipped: bathroom with shower, sink, toilets, hairdryer, soap dispenser, cosmetic mirror, mini fridge, welcome tray with kettle, flat screen TV, desk, individual heating and ventilator-air refreshing with remote control. All attention is given to the decoration to create a warm and personal atmosphere. Tradition and natural environment were the watchwords for its realization. 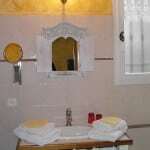 Free WIFI Internet access and quality is available in each room and garden.